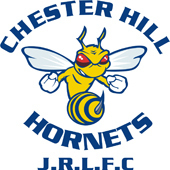 Learn how to effectively coach your Rugby League team in a fun, safe and enjoyable environment. Both the MGC and IGC will help you develop an understanding of your role as a coach, provide you with ideas and strategies on how you can maximise your effectiveness in skill development by creating a fun, safe and positive training and playing environment. You will also be required to complete the face-to-face component where you will learn more about the core skills of the game, a variety of skill practices and game-based activities and how to deliver an effective and enjoyable training session. Both the online and face-to-face component will provide you with the necessary coaching skills to provide players with the best possible Rugby League experience. This unit highlights the variety of roles the coach undertakes in the development of the young Rugby League player. You will learn about the philosophy of the modified and junior international games and what you should be aiming to achieve as a coach - creating a fun, safe and positive environment that enhances the skill development and enjoyment of every player in your team. 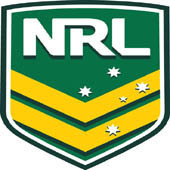 This unit also covers the NRL Code of Conduct and Safe Play Code as well as the ASC legal responsibilities and child protection requirements in your state. This is the first of three units which set the foundations for becoming a valuable Rugby League Coach. Learn what players want and need the most. This unit underlines the importance of creating a fun, respectful and healthy environment for all players under your care. You will acquire the skills needed to deliver the most basic of on- and off-field needs to individuals and the team, as well as strategies needed to ensure the game is played in the right spirit at all times! This unit focuses on the coaching process as well as training and game day considerations. You will learn about what young players enjoy most about the game, and what you can do to maximise involvement and skill development. This unit provides handy coaching tips to keep your players motivated and comprehensive safety guidelines to ensure the chance of injury is minimised. Learn about the art of teaching and coaching. This unit will provide you with knowledge on the various stages of skill development and teaching and coaching strategies that will help them progress through each stage. This unit will show you the most effective teaching and coaching methods for developing core skills and understanding game concepts. Once all three coaching units are completed you will be required to undertake some face-to-face training on additional aspects of coaching to increase your skills and knowledge. Click HERE for more information and to do the course online.